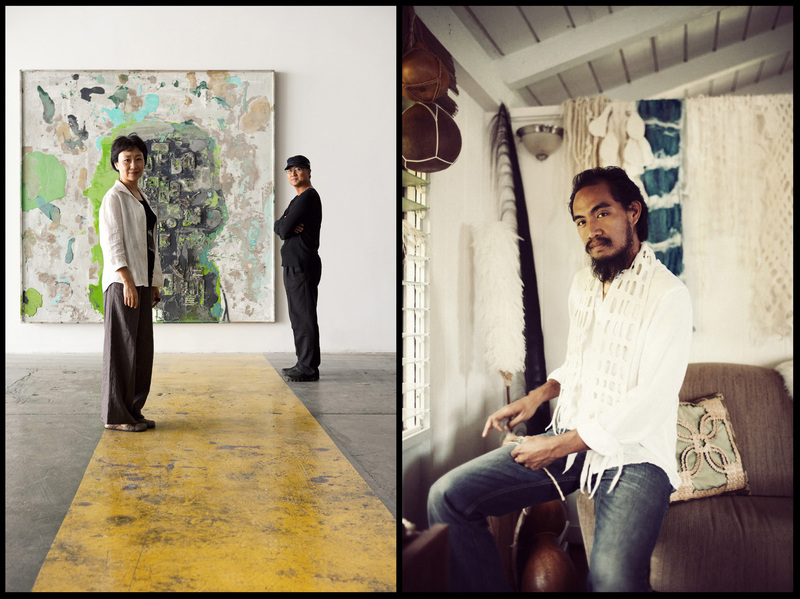 Art gallery owners Yida Wang, left, and her husband, Jii Jianjie at their studio in Honolulu. For Modern Luxury Hawaii. Artist Marques Hanalei Marzan for Modern Luxury Hawaii.